Prospective independence is something spoken about as an opportunity for real change in Scotland, a chance to push compassion and equality through every avenue of our political system and beyond. Rightly so. Less discussed, however, is how the promotion of these values could be used to benefit those who may not adhere to them now. Scotland already has its own prison service, but if independence is to be the impetus for a societal reshaping, this should also apply to how we treat our criminals. The UK has the largest prison population per head in western Europe, and Scotland sees some of the highest reoffending rates. While it is true that these numbers are decreasing, those most likely to commit another crime once released were those serving sentences shorter than three months and those imprisoned for drug offences. This suggests a fundamental flaw both in how we punish smaller offences, and in the supposed ‘war on drugs’. Attempts have been made to rectify this somewhat, but a presumption half-heartedly put in place in 2010 against these short sentences has resulted in little change to incarceration statistics. Scotland’s offenders also derive overwhelmingly from deprived areas and backgrounds, putting another of the independence movement’s priorities – tackling poverty – into focus. Our prisons do not exist in a vacuum, independent of the sociological factors which affect citizens beyond its walls, and so we must engage with the issues outside to correct what happens inside. The disastrously counterproductive nature of Scotland’s drug policy is not a new conversation to be had, but one for another day – yet the alternatives to jail time have a significance reaching well beyond drug convictions. Community-focused services must be invested in with an enthusiasm which suggests they are truly seen as a viable method of crime management; as much an ideological shift as a financial one. As much as some efforts have been made to promote the rights of prisoners by the Scottish prison service and governing bodies, a powerful catalyst such as independence for Scotland seems necessary to achieve full commitment to rehabilitation. And as independence becomes an appealing prospect to some as a means of remaining within the European Union, perhaps we should take cues from the more successful of our European neighbours’ prison systems. 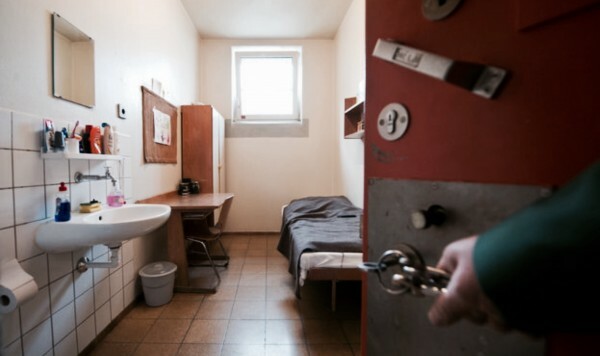 Germany, for example, runs many facilities which would horrify those who feel that conditions within our prisons are already too lenient – housing resembling bedrooms more than concrete cells, the freedom to decorate said rooms as they wish, and cooking facilities within the rooms for preparing their own meals. These are privileges dependent on good behaviour, but as regularly given to the most violent offenders as the most menial. There is a culture of mutual respect within these prisons which results in a strikingly low rate of incidents within facilities, and one that produces a reoffending rate which is just a fraction of our own. The range of in-house classes for inmates is vast, it is within their rights to visit with family, they work jobs off-site and unsupervised (relatively early in their sentences), and prison officers are generally mental health or social work professionals who assist inmates in their personalised counselling plans. Germany invested both money and an interest in developmental autonomy into its prison system and benefited (as well as saving money in the long run); we should follow suit. A deeper understanding of our offenders is necessary before we punish them. This really is the problem: punishment. A justice system approached as a tool for retribution rather than rehabilitation is doomed to exacerbate the issues it aims to eradicate. Again, Scottish prisoners do already enjoy some rights which those in rUK do not – the general opportunity to wear their own clothes, for example, minimising the impression that they are being stripped of their personhood as well as their freedom. But fully embracing these principles requires a spark to encourage open mindedness and flexible attitudes. If independence is to be a facilitator for radical change, our offenders must not go forgotten. The question of whether or not the people of Scotland would be in support of such a shift is difficult to answer. It’s something of a comforting, convenient and widely held belief that we are drastically further to the left than our friends in rUK, but surveys done on crime-related issues tell a different story. Scotland, for example, has typically always demonstrated a notably higher rate of support for the reintroduction of capital punishment than England. But for those of us in full support of prison reform, independence presents a welcome opportunity to rebuild the structure of our country from the ground up. A society is best measured by the treatment of its most troubled citizens. As has been bellowed throughout the independence movement for a long time – challenge should not be automatic grounds to dismiss a chance to evolve. I’m always doubtful about articles that talk about incarceration rates without talking about crime rates. With the same judicial policy, a low crime rate country will have a smaller prison population than a high crime country. And that’s without considering the impact that imprisoning criminals has on society. Could the reason for the high recidivism rate here and the low rate in Germany be the differences in prosperity between the best off and the worst off in the two countries? Some live such empty, poverty-stricken lives in Scotland that prison is a better prospect than Home or the Street, so improving the living conditions in our jails could exacerbate the situation. The only way to solve this problem is to raise the quality of life of the most disadvantaged in our society to such a level that they feel they will have too much to lose by being incarcerated. “to raise the quality of life of the disadvantaged”.Wee Burney doesn’t give a damn about the disadvantaged in Scotland.Her mind is singularly focused on some kind of independence.Everything else can go hang. You should consider requesting a meeting with David Strang, a former Chief Constable who is now the inspector of Scottish prisons. I suspect you’d find an open door.